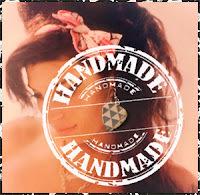 I make guitar pick jewelry from mostly re-purposed or up-cycled materials like plastic and cardboard. This includes pendants for earrings, hair clips and more. I love rock and roll and always feel the need to show it. That was how it all started! 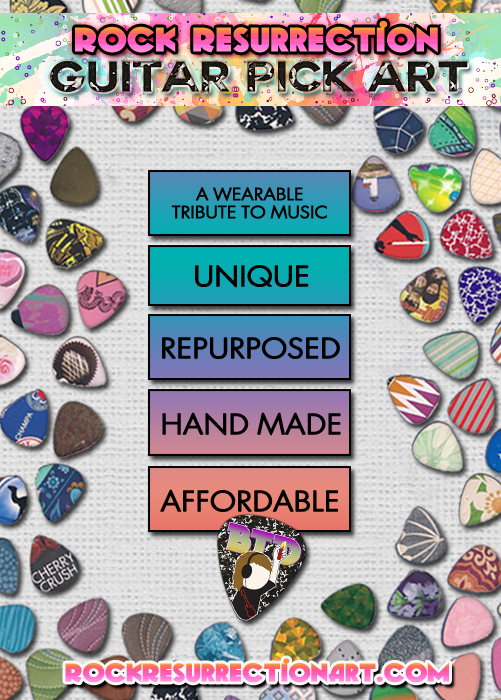 I began making guitar pick jewelry in the Summer of 2013 in Emeryville California and opened my first shop on October 12th 2013, and Rockresurrectionart.com website on August 20th 2014. In the next couple of years, my home grown business expanded more and more. The first and most fun part of making guitar pick jewelry is punching them out with my Pick Punch. 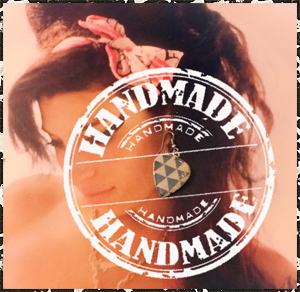 I make two types of guitar pick earrings; simple ones made out of colored plastic or ones punched out of paper materials. 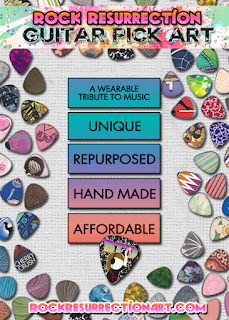 My picks are made from re-purposed or upcycled materials. 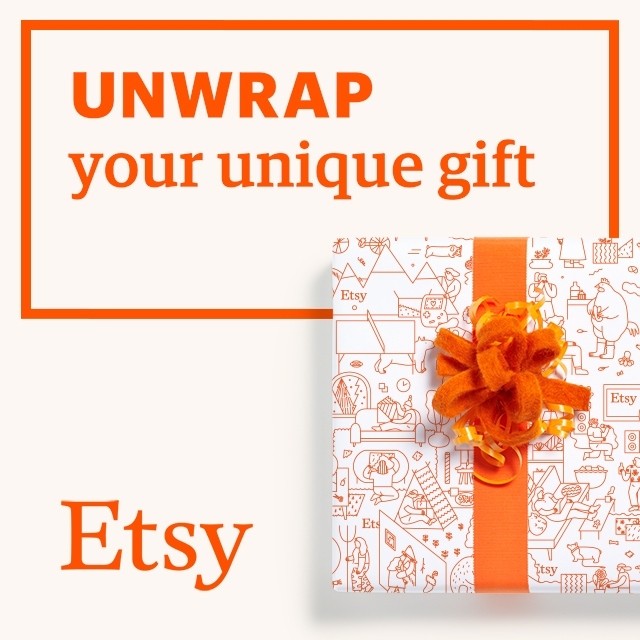 Such as: Tissue boxes and birthday cards, styrene, and plastic. I layer non-plastic picks in epoxy resin and Mod Podge 3D Magic. I often finish my jewelry with coats of nail polish for beautiful and vibrant colors. Check out all the different styles I make here. My materials aren't printed out (except for custom orders) they are utilized from every day designs. I don't use molds and I don't use transfers. You wont find another artist out there who does what I do. 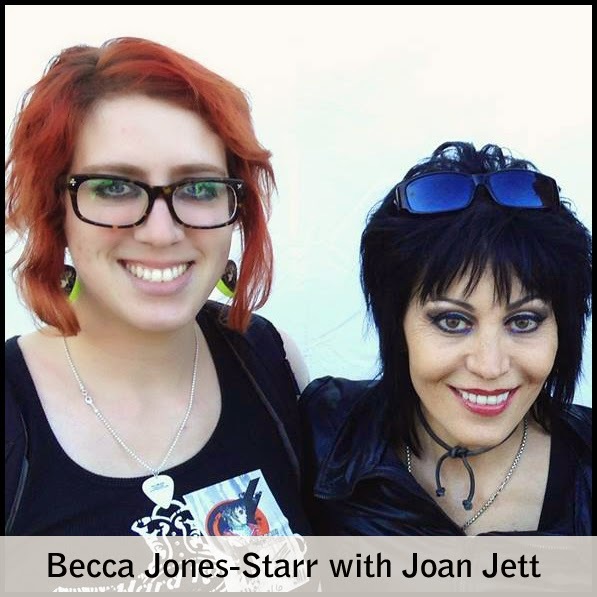 RRA is apart of the Bite-the-dust.com rock and roll resurrection family. My guitar pick jewelry is currently showcased in a few galleries in Oakland and Berkeley, one of which is local screen print shop The Grease Diner. I've had some home grown success after encouragement from friends and have sold over 600 pieces. I've had four art shows so far, and have work for sale at a handful of galleries. Need to know more? Contact me!